So, I’m not the kind of mom who regularly gets up and makes the kids a hearty, homemade breakfast. It’s usually toast or cereal around here! 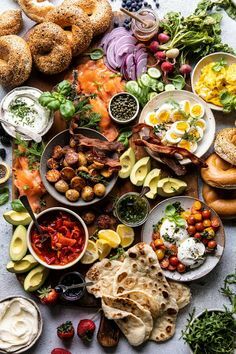 But Christmas morning, I love to make a special breakfast that we enjoy as a family after opening up gifts around the tree. I know that Laurel feels the same way! It’s only 9 sleeps until Christmas morning, so we thought we’d share a few of our favourite Christmas brunch recipes so you can start planning your menu and do your grocery shopping! I do prefer to make things that I can do a lot of the prep the day before so that I’m not in the kitchen the whole morning and you can do that with many of these recipes. 1. I love an egg dish and I’ve made this Sausage and Egg Casserole with Sun Dried Tomatoes and Mozzarella and everyone goes crazy for it. The great thing is you cook up the sausage mixture the day before, so it’s very quick to finish up and get into the oven in the morning. It’s not a dry egg dish either and not full of bread. 2. 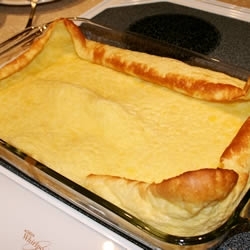 German Pancake with Buttermilk Syrup – this sometimes is our dinner when Jason’s not home. The kids absolutely love this! This is not the best recipe for a large group as you have to blend up the ingredients just before you bake it and you need to bake it in 9″ x 13″ pans, so oven space can be challenging. While I am blending the pancake ingredients, I put the pan with about 1 tablespoon of butter in the oven and let it get hot before I add the pancake batter. This helps it to come out of the pan easier. 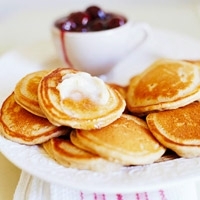 The buttermilk syrup can be made a couple of days in advance. BE CAREFUL WHEN BOILING IT….it will boil over unless you watch it carefully and put it a much larger pan than you think you’ll need. The syrup can be reheated in the microwave before serving. This syrup is great on waffles, pancakes and ice cream as well! 3. Land of Nod Cinnamon Buns – these are a long time favorite! A staple at Jason’s parents for Christmas brunch. The great thing is all of the prep is done the night before. You just pop them into the oven in the morning. It’s a really good idea to place a cookie sheet under the Bundt pan to catch the drippings or you may end up with burnt sugar on the bottom of your oven! I also prefer to use pecans instead of the raisins. 4. Last year I made Apple Butter Pancakes with Cherry Sauce for Boxing Day Brunch. I loved that I could doctor up a pancake mix….I fooled everyone. I loved the cherry sauce for on top! 5. 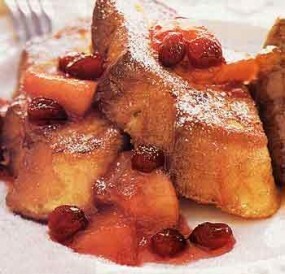 Eggnog French Toast with Cranberry Apple Compote – we want to try this one…maybe for our brunch in Hawaii. We love that you can prep it the night before and highly rated recipes on Epicurious have never disappointed us. I would be tempted to serve it with the Buttermilk Syrup from the German Pancake recipe above. 6. One of our family faves is this recipe that I was introduced to when I married Jason. His mom, Loraine, has been making this for the last 18 years for either Christmas or Boxing Day brunch. Once again, you can make the sauce the day before, so it takes just minutes to assemble in the morning before you bake it. 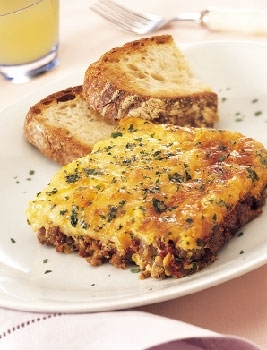 This recipe is awesome for large groups! Here’s a tip…..split the English muffins apart, butter them, place them on a cookie sheet and then put them under the broiler for a couple of minutes (don’t leave them too long!). This is a super quick way to toast them for a crowd! This recipe has been passed down from friends and family, so I cannot give credit as the originator is not known!! Saute onion in reserved bacon drippings. Add soup, milk and mustard. Cook until smooth. Add cheese, parsley and pepper and cook until heated through (this can be done the day before and then cooled and stored in fridge). Pour 1 cup sauce into baking dish (I use a 9″ x 13″ coated with nonstick spray). Break eggs into sauce. Spoon remaining sauce around eggs and spinkle bacon on top. Bake at 350 degrees F for 15 to 20 minutes or until set. Spoon over toasted English muffins or toasted bread slices. 7. 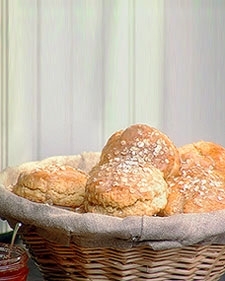 Ina’s Maple Scones – ok, so these you need to make the day of, but they are SO good. Laurel made these for the first time about 12 years ago, and I love them just as much today! The glaze for these makes them taste divine! 8. Eggnog Muffins – I just made these for our bootcamp brunch (yes, workout and then eat!) and I got great reviews!! 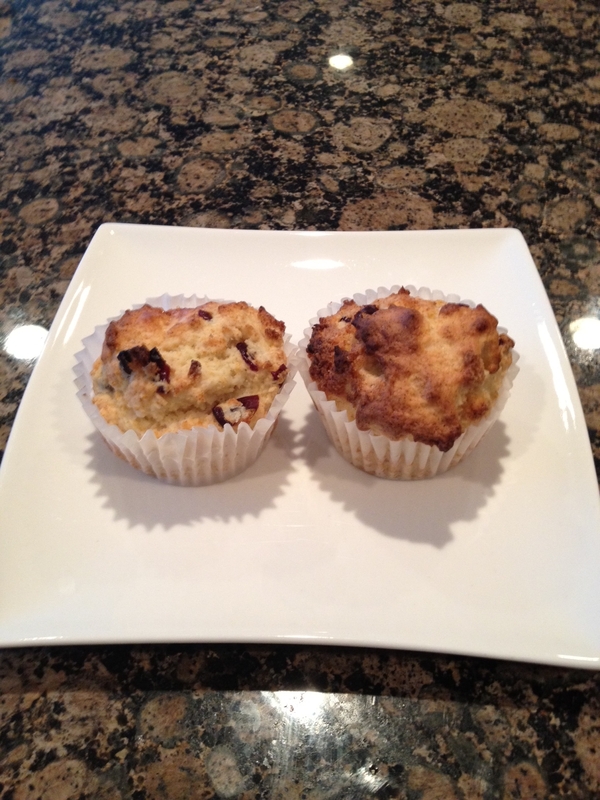 I multiplied the recipe by 1 and 1/2 and I added 1 cup of dried cranberries. Use freshly grated nutmeg…it makes a big difference. I was worried they might be dry, but they weren’t. And you can really taste the rum! It always nice to add a few special touches to your Christmas brunch. Fresh squeezed orange juice is a favorite here…but I do buy it. Hot apple cider – I combine about 2/3 apple juice and 1/3 cranberry juice. Add in a bit of brown sugar, some cinnamon stick and a few cloves. Add in a sliced up orange (rind on) and bring to a simmer. Simmer for about 20 min. Strain and it’s ready!! 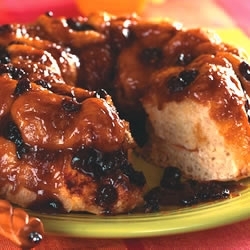 To make it even more special, top with whipped cream and drizzle with caramel! I also love eggnog lattes. If you are making them at home, use 1/2 milk and 1/2 eggnog, otherwise it is was too rich and thick. You don’t need to go crazy with too many dishes….pick maybe an egg dish and serve it with a baked good and some fresh fruit, or opt for a carb dish such as the German Pancake, fry up some bacon and serve with fruit! Enjoy!